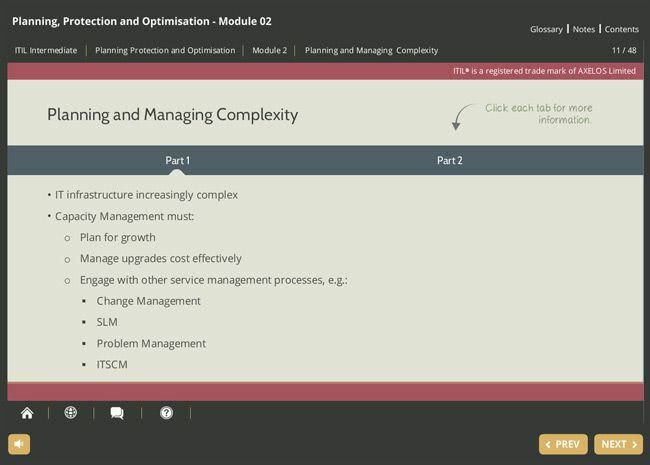 This course is designed to help you to prepare to take and pass the exam leading to the ITIL Intermediate Certificate in Planning, Protection and Optimization. 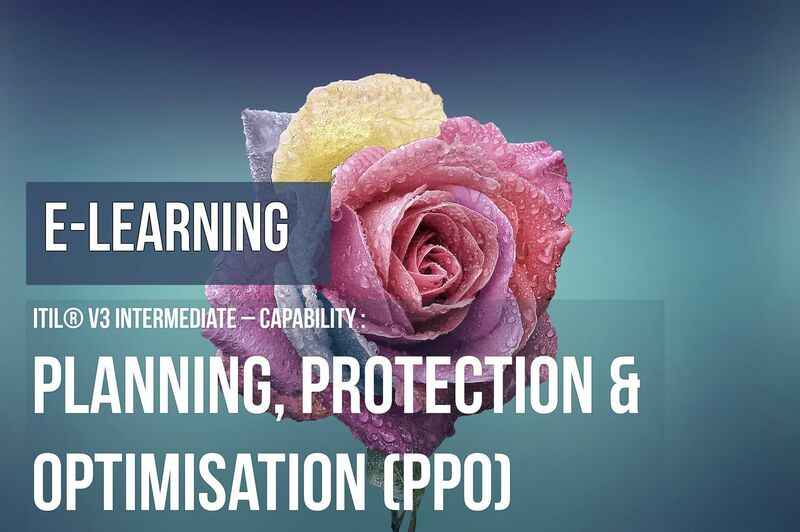 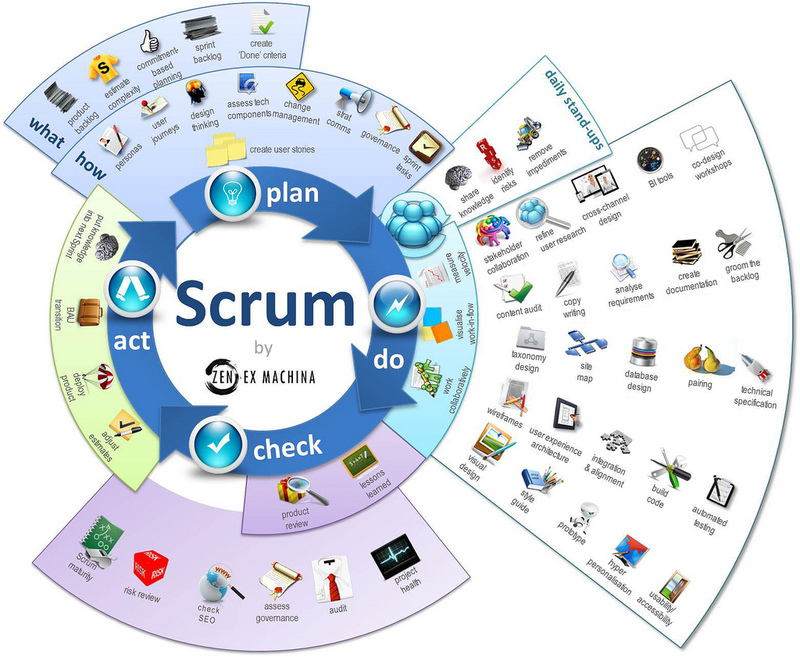 Planning, Protection and Optimization (PPO) focuses on the practical application of PPO practices in order to enable capacity, availability, IT service continuity, information security and demand management. 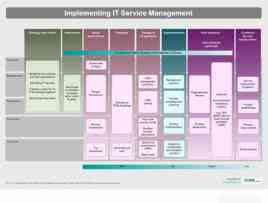 PPO is a collection of relevant practices from the core ITIL guidance that are related to service optimization, security and the related planning in support of this. 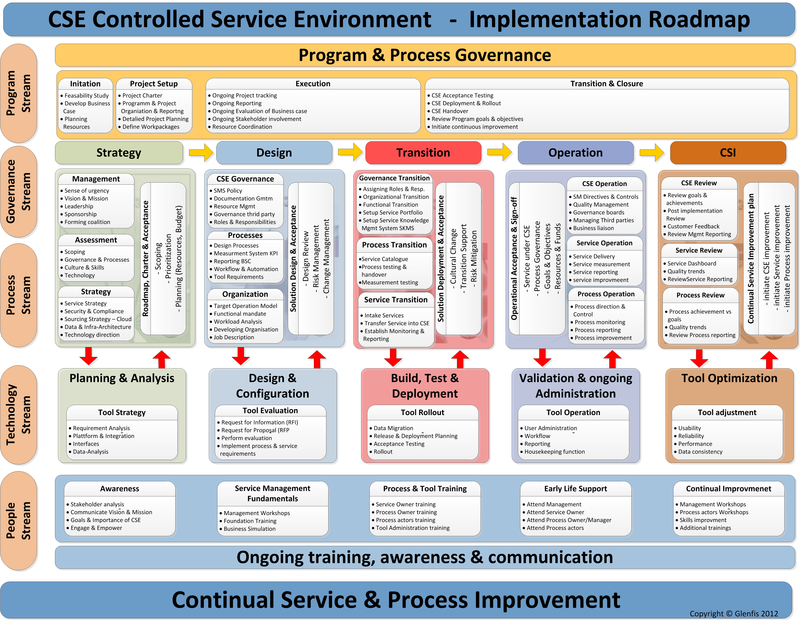 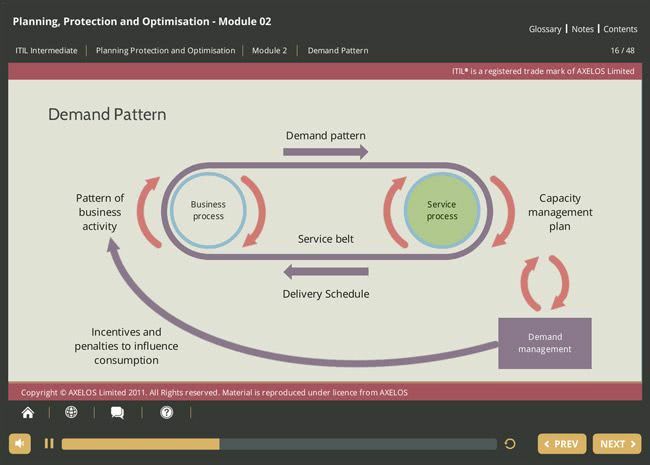 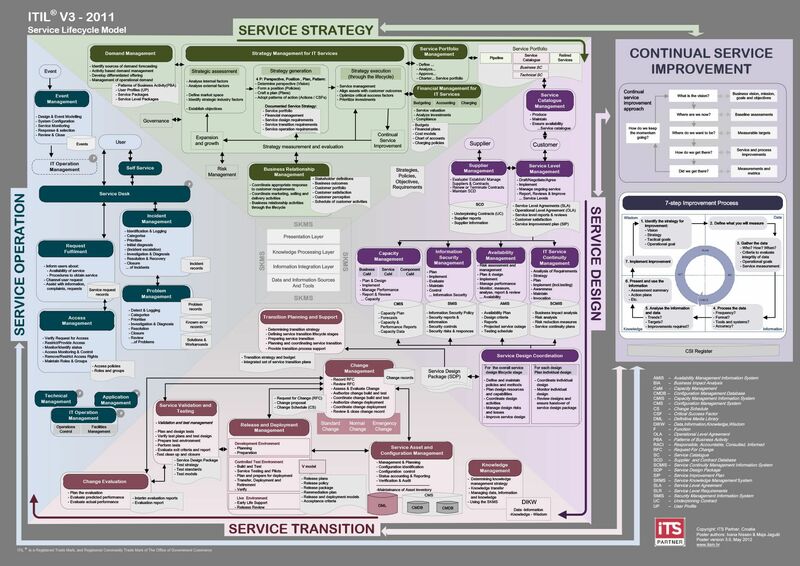 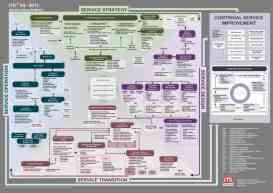 It takes a detailed look at some of the processes described in Service Design and Service Strategy and examines each process in terms of the day-to-day operation of the ITIL process. 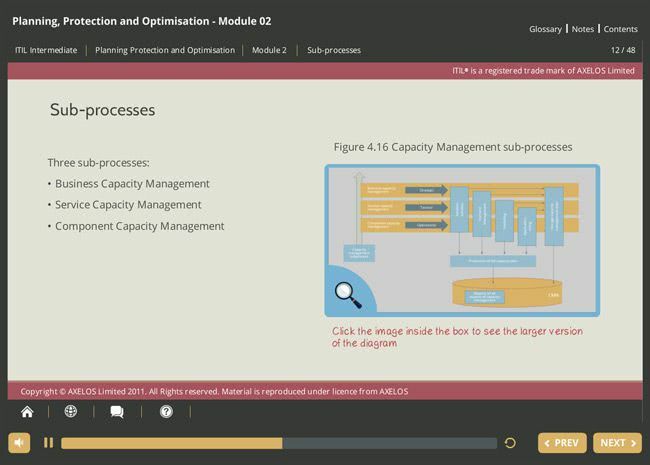 This course will provide you with a good understanding of Planning, Protection and Optimization principles, its processes and other aspects within the capability stream. 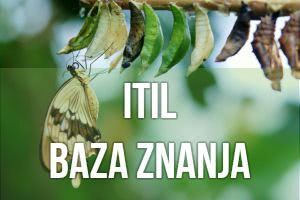 The ITIL Planning, Protection and Optimization Certificate has become the IT industry’s de-facto intermediate professional qualification in the field of IT Service Management. 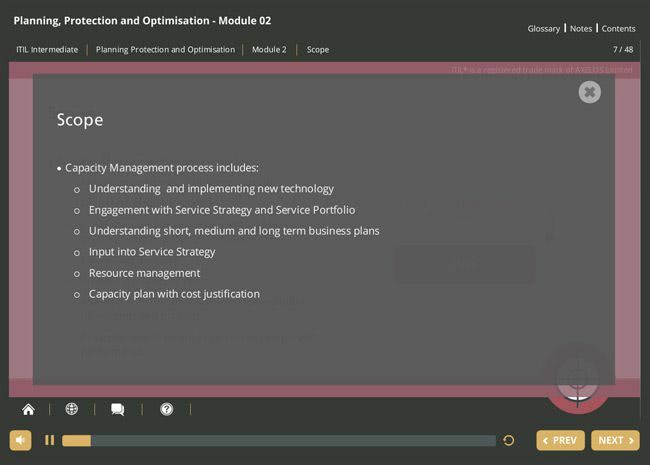 This is an accredited, interactive e-Learning course for students who wish to become certified in ITIL Planning, Protection and Optimization. 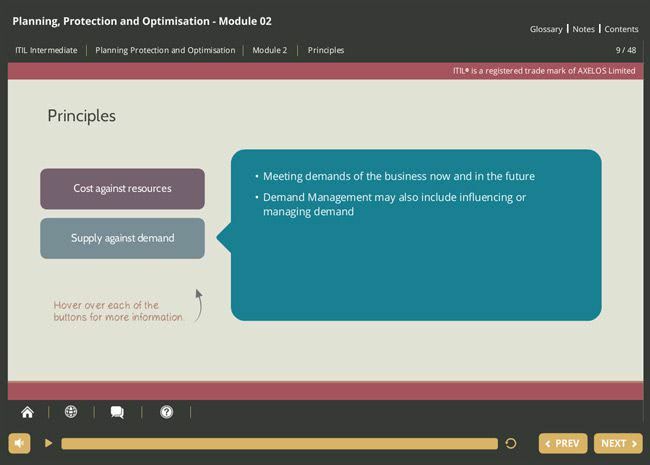 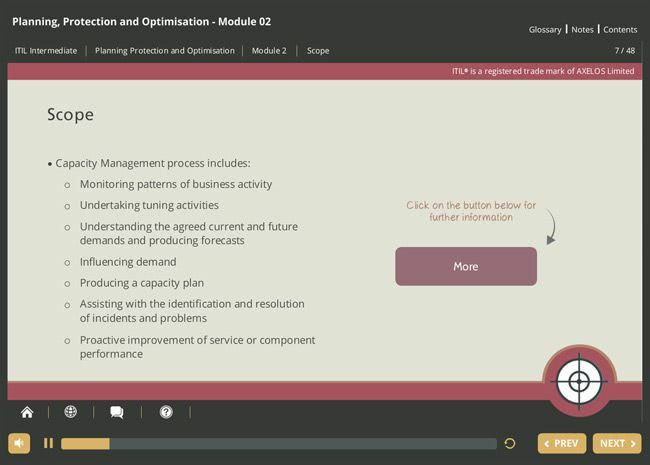 As well as in-depth visual learning content, the online course contains audio and video narratives, quizzes and practice exams.